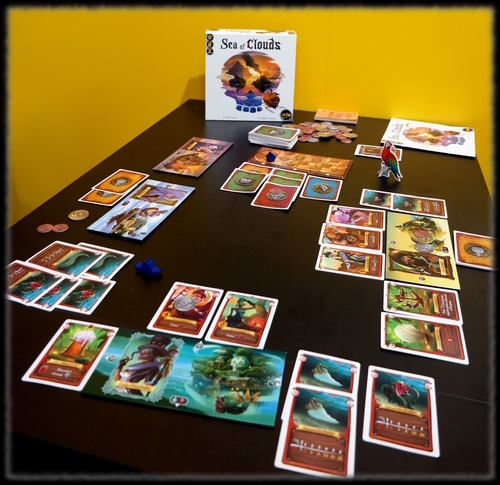 Choose your captain, it's time to loot for treasures, relics, and rum in Sea of Clouds, a strategic set collection pirate card game from Iello. On each turn you will choose which pile of face-down loot cards to take and which your will leave to opponents. With each pile you pass up another card will be added to it for the next player. Do you take the first pile or hope there's better loot in one of the next piles? Additionally, you'll want to gather a crew of pirates armed with combat strength to aid you in victory and more spoils when each ship boarding phase occurs. The various treasure and relic cards provide victory points and/or effects. Under The Maske is the 3rd scenario to the base game, T.I.M.E. 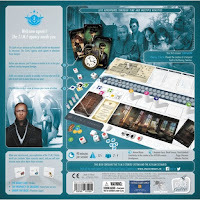 Stories, a co-operative narrative board game. 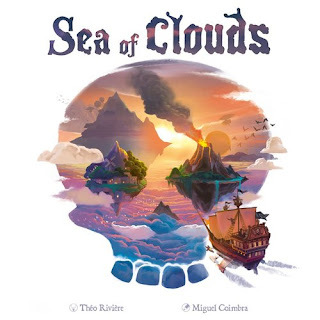 Players live adventures in various worlds, through the eyes and characteristics of their character. They have to fight, search, discuss, and be clever and convincing to the characters they meet… and sometimes even the other agents. 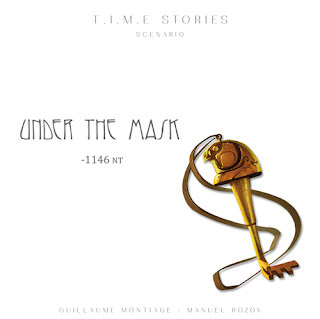 With Under The Mask 1146 NT Scenario you will enter the Valley of Kings and unravel the pharaoh's secret. Phobia cards give investigators lasting negative effects eating away at their sanity. 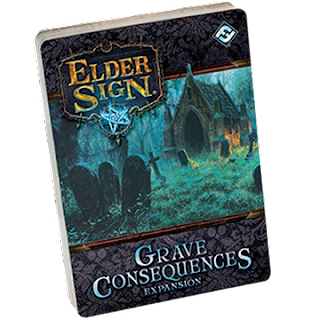 Epitaph cards build a tiny graveyard for the fallen and introduce random effects when an investigator has been devoured. 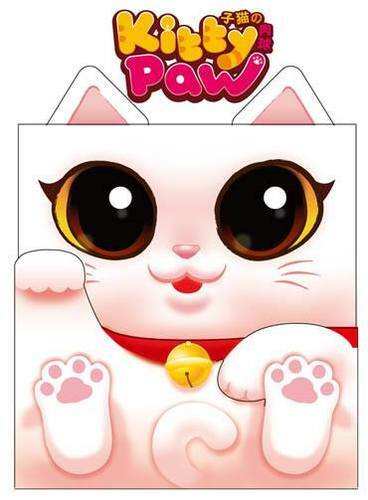 Kitty Paw is the newest edition to our children's selection of games. 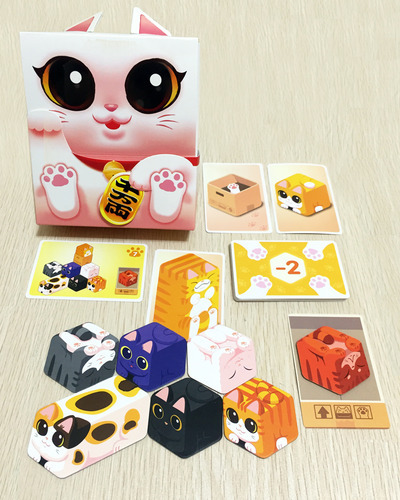 Meow meow, this is a cute 15 to 30 minute card game aimed at kids 6 and older. 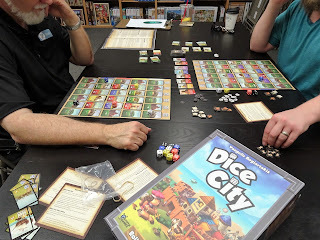 Dice City is a dice-crafting game where the buildings and locations in your city become the faces of your dice as you roll them each turn. Each player starts with a player board and five different colored dice that represent their individual city. 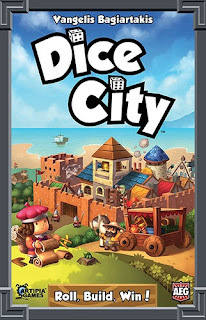 During the game, you will use your dice to activate locations in order to gather resources, armies, and build more powerful buildings. 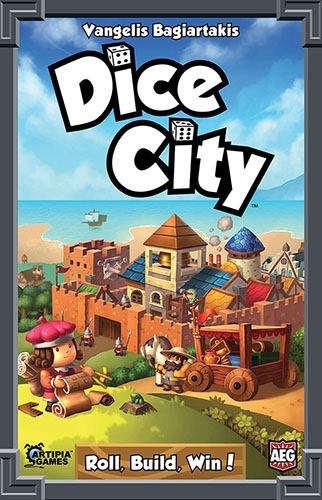 To do this you will roll your dice and assign each one to the corresponding space in your city. Each color that corresponds to a dice has an associated row. Each number that can be rolled on the dice has an associated column. Hopefully, your dice will be friendly to you. Adding buildings, defeating bandits, and exporting goods with trade ships can reward you with victory points. 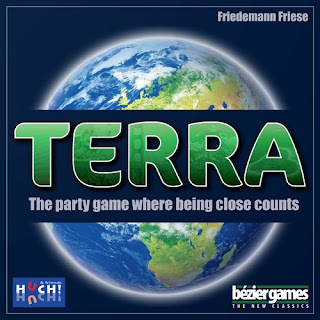 Terra is a party/trivia game of general geographic information where being close counts. Terra is played on a double-sided board that has the world map and 3 measurement tracks (year, distance, and population). One side of the board uses USA measurements and the reverse side uses Metric measurements. Similarly, the deck of 150 trivia cards are double-sided. The top of one of the trivia cards is revealed providing a topic, photo,and 3 questions. Players will take turn places their player color cubes on the board to identify their answers or guesses. Score points for correct answers and for being adjacent to the correct answer. 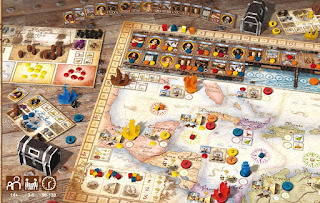 Sail on the adventure of a lifetime in Francis Drake, a worker and ship placement strategy game. As swashbuckling Elizabethan privateers, players are attempting to emulate the feats of Francis Drake on 3 voyages to the Caribbean heart of Spain's New World. Before setting sail, players must first prepare for their voyages and compete with each other in Plymouth for the limited crew, guns, ships, pinnaces, supplies, and trade goods that will be needed. Time is of the essence, as it is a race to provision our ships and leave Plymouth Harbor first. In the 2nd phase of each round, players will chart a course on the Spanish Main and complete up to 4 missions. 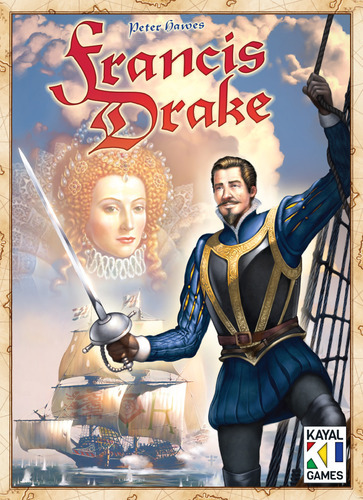 You can take on the role of different personalities (Informer, Spanish Admiral, Governor, Queen, English investors, and Drake) to gain special abilities. Careful planning of your missions, the right acquisitions, astute strategical maneuvers, setting sail on the first available tide and a touch of Drake's guile will lead to success over your rival captains.